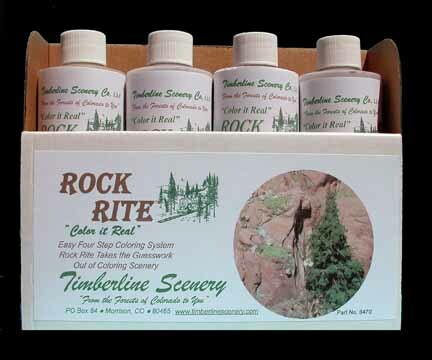 Rock Rite Kit is a 4 part coloring system that takes the guesswork out of coloring scenery. Available in 8 oz. and 16 oz. bottles.